I am not a racist but I am the only white person working in a group of six other women of color. I really like my work. However, whenever there is extra work, one of the other women always calls upon me to do it. It feels like they have made a pact with each other, behind my back, to harass me. If I am busy with other things, and I usually am because our work is very intense, they call me lazy and uncooperative. I have always been known for being a very hard working employee. I recently got written up on a minor infraction which I accepted to keep the peace. They said the next time I do anything like that, I am out of this job. I have worked for the company for ten years and have a disability, which is documented by my doctor, and noted in my files. What can I do? The “sisterhood” is always right. I am miserable at work. We are calling you “sister” because we are all sisters and brothers, together, on this planet … no matter what color we are. We are all children of a loving God in Heaven and He wants us to love and be inclusive with each other. We understand that you don’t feel like you belong, but you are at a place where you have a seemingly rich history and you don’t seem to want to leave. This is, understandably, difficult for you to bear, much less thrive. Being misunderstood can mean being misjudged and you need to muster your courage and ask for a direct meeting with each person. That’s less threatening and less opportunity for them to gang up and bully you. Discuss and share your feelings regarding your work ethic, your work load, your empathy for their work load and fair work distribution. Tell them that name-calling such as “lazy” and “uncooperative” hurts you and feels abusive. Ask for a “start-over” in your relationships. Don’t expect or insist on an apology. If they don’t want to change the circumstances, then you may report the bullying. Be careful of engaging in a battle if they are un-accepting of your perception. Be an example of love. Your heartache is your private situation. Grieve (five steps: denial, anger, bargaining, depression, and acceptance) and accept your emotional losses. Decide not to be a victim by defining yourself. If you follow our Triangle-of-Triumph ™ from Victim (five steps of grieving – include timed pity parties, anger letters that you flush, physical gestures such as screaming into a pillow and air-boxing to music) to Survivor (define yourself with civility, confidence, courage, creativity, and strong carriage, as in standing tall) to Leader. We promise you will be grateful for your “sisters,” if you do that. • Don’t threaten anyone by using your documented disability. Keeping your disability in your back pocket to pull out when needed is a manipulative tactic and keeps you a victim … which will truly disable you forever. • Don’t label your situation as a racism problem because this is a relationship problem. The “whys” don’t matter as much as the resolve to change it. Thank you for writing us. We look forward to hearing from you! I just put my late blooming, tiny (she was premature), 5-year-old into preschool and in her first week a little girl and boy bullied my daughter, Erin, (not her name). The girl-bully is the leader and coerces the boy-bully to pinch Erin. They sneak up to do this to her, so the teacher doesn’t notice. Erin came home crying, saying she was pinched and called names. She showed me her bruises and told me who did it. I didn’t think she could be the victim of bullying in preschool, so I went to watch it myself. I told the teacher what I saw and I was shocked that the teacher said that kids are just getting used to each other and that they will settle down and all will be well. I told my husband about the preschool bullies. We have Erin at a Christian school, but my husband said to move her into another school. I don’t want Erin to think that problems should be solved by running away from them. But I don’t want her to grow up without self-esteem either. What do I do (since I can’t pulverize the preschool bullies)? We understand how upset you must be to have your precious little girl bullied when she has had some challenges in life already. However, we think we may help you keep your daughter in her current school and learn how to not stay a victim at her young age. It does sound like the girl and boy who hurt Erin have been actively, with premeditation, and willful aggression hurt Erin. • They may be imitating behavior that they have experienced before (at home or with other kids) and we want to stop the cycle of generational abuse and bullying. You have noticed the difference between young confrontations, which Erin’s teacher was assessing to Erin’s situation (and honestly, from her viewpoint, it could seem appropriate) and decisive and sneaky behavior that caused Erin pain. A moment of friendship disturbance, either physically, emotionally, or socially (giving examples of each, such as physically wrestling, emotionally calling someone names, or socially leaving someone out of playing a game), they can communicate politely, make an agreement not to do that painful behavior again and forgive. 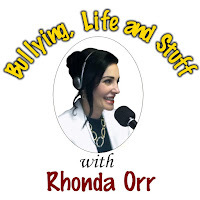 Bullying behavior of repeated and intentionally hurtful actions— physically, emotionally, or socially— can hurt another’s feelings for a very long time and make them afraid and feel anxious. Teach Erin to stand tall and to have eye contact. It will help her feel powerful and not stay a victim! I saw you at the library where you were speaking and I want to thank you and encourage you in your work on the bullying issue, but also for standing up for manners. It’s so desperately needed right now. I am by no means the etiquette expert that I wish I was, but I do care deeply about the issue and about the loss of this basic need in our society today! My husband’s son, who is 21, is about to be married soon, and, while it is understood that we will be there, we had to ask him repeatedly to give us the actual paper invitation so that I could RSVP and be sure of the exact time to show up for the ceremony! His verbal, “I think its 4 p.m.” just didn’t breed confidence. The invitation had been on the floor of his car for months. Finally, he went out to his car and got it for us only because we ran into him at a store the other day. His aunt has yet to receive a paper invitation or even a Facebook invite for that matter. Yet, he expects her to come. She’s single and wanted to bring a date, but I had to tell her that I had read “no plus-ones” on the invitation. She was surprised and disappointed to hear this from me. Our son’s grandfather also had to endlessly ask about his invitation. He needs to buy airline tickets and make hotel reservations. Grrrrr! Technically, I may be guilty of gossiping and bad-mouthing my family, but I want to make it clear that I did not raise this son! So many people think that etiquette is all about the snobbery of knowing all the rules, but it’s really about being considerate and respectful of other people’s feelings and time. Talk about a breath of fresh air! You have a healthy sense of humor about an issue that many in our current culture do not value, understand, or care about. You’re correct in stating that manners aren’t about being pretentious and having pompous rules without any purpose. Manners mean that we, as a society, need to be considerate of others. • Being polite at the table, in our communications, and at social functions. Since when did it become acceptable to be inconsiderate? Being inconsiderate means we are being rude, selfish, uncommunicative, and unable to care about our families, our communities, and our world. The listed “rules” are actions that we all need to learn, teach, and practice as examples of a civil and caring society. Let’s not let the current culture of joking and amusing entertainment be who we are as a society. We are better than this. Manners are not minor; they are the pivotal point of our value systems. I need help. I’m a single mom and my son is painfully shy. I’m afraid he’s just going to keep more people away from him because he’s so shy but doesn’t know how to make a friend. He alienates other kids from him before they have a chance. Last year, one kid decided to be friends with John just because John has a lot of cool stuff and the kid just wanted to come over and play with his games. John got out-of-control angry at the kid and the kid told other kids and then John got shy again. Now John stays home and in his room and only comes out to eat. I don’t know if I should put him in another school or home-school (except I would have to work night shifts and I don’t want to do that … his older brother would have to come over and they don’t communicate either). So what do I do? I feel so bad for him. He wasn’t like this when he was little …only when I got divorced. You are doing great things in trying to help your son. Just by virtue of writing to us shows that you care deeply for your son. Being shy is often a lack of social skills and in our current culture where kids rely on their social media and smart-phones to communicate; social anxiety is becoming a real problem. John may have become cynical because he feels rejected by his peers. The truth is that shy kids do well with other shy kids because, many times, being shy is simply a matter of taking a longer time to warm up and trust others. Highly sociable kids don’t always have the patience to wait for someone to “warm-up.” Their impatience looks like rejection to the shy kids. Your son also could have become cynical because it’s easier than accepting rejection. The problem with letting that skeptical behavior go unchecked is that it easily can escalate into angry physical behavior and aggression. A professional can assess the situation better and we suggest you talk with a therapist together. Almost half of our population says they are shy. We believe it is attributed to communicating with words, mostly, which is only 7 percent of our total communication – whereas 55 percent of our communication is our body language and 38 percent is our tone of voice. Communication is fast becoming a lost art. As a culture we need to reclaim that art by putting down our devices and practicing real eye to eye communication using that 93 percent that goes beyond words in a text.